"You will need: Tri-wing screw driver. #0, T-4 & T-5 Screw driver, Tweezers. Tri-Wing screw drivers can be found on Amazon or if you need to search elsewhere it is the same screw type that Nintendo uses on their Wii and DS Lite." If you're a brave or crazy individual who wants to pull apart your shiny, brand new, Zune HD then according to AnythingButIpod, those are the tools you'll want onhand. If you're less brave or perhaps just sane, you'll want to follow this link over to AnythingButIpod to see what's actually inside. 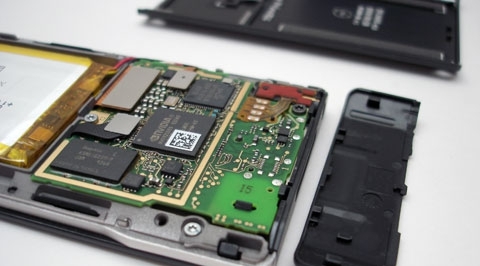 ABI really did an excellent job on showing off all the Zune's guts so if you've got a strong constitution for mangled electronics then you should really go check out the whole article. I don't want to give it all away, but I will say that the tribute that Microsoft apparently has on the inside of all of its Zune HDs in memory of a Zune team member who passed away is actually very touching.